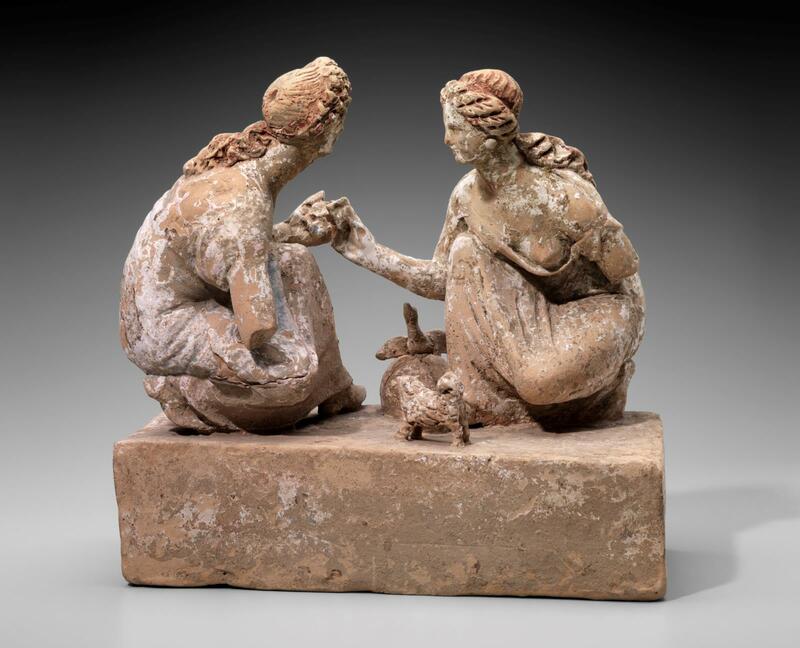 Two girls on a brick-shaped base, facing each other. A spitz-dog in front; a bird sitting on a spherical object behind. Said to be from Capua or Cumae.